Yep. We did it. 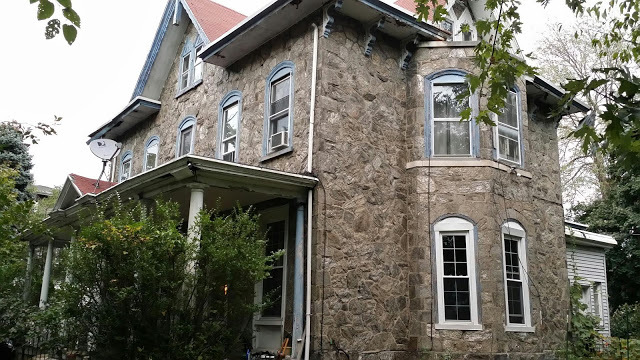 My family bought, not one, but two fixer uppers in Pennsylvania. When we first bought these houses, I fell in love with the potential. I could look into these dusty, linoleum covered rooms and see into a future of restored hardwood and Victorian architecture in all its glory. Funny thing about potential is that not everyone sees it. What most people do see is the present condition of disrepair. It’s one thing to talk about DIY and it’s quite another thing to live it. I can assure you that I live it. In purchasing these houses, I’ve had to learn how to do home improvements that I never even imagined while growing up in rentals in Brooklyn, New York. The sheer size of these houses is intimidating enough, but the generations of neglect that both have endured is another beast in and of itself. Couple that with the daily chaos of trying to maintain a healthy lifestyle, and DIY becomes more than just a hobby. It’s more like the air I breathe. So far, I’ve managed to repair many of the issues in one of the houses. You can see some of the transformations here, here, and here. There’s still a long, long way to go. I will definitely keep you posted as I continue to tackle projects and make progress on both of these monsters. Any advice or just plain ol’ words of encouragement are more than appreciated! Yep! It’s a crazy amount of work, but I’m loving the process. Thanks for the support, Koko! Great progress! I’m impressed, you have taken on some big projects. Thanks! There’s still a long way to go!